This book proposes and defends a radically new account of Plato's method of argument and enquiry in his early dialogues. Vasilis Politis challenges the traditional account according to which these dialogues are basically about the demand for definitions, and questions the equally traditional view that what lies behind Plato's method of argument is a peculiar theory of knowledge. 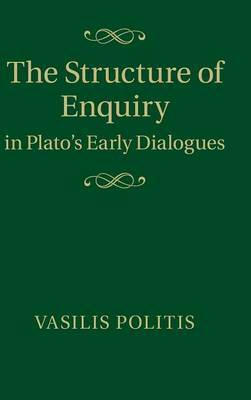 He argues that these dialogues are enquiries set in motion by dilemmas and aporiai, incorporating both a sceptical and an anti-sceptical dimension, and he contends that Plato introduces the demand for definitions, and the search for essences, precisely in order to avoid a sceptical conclusion and hold out the prospect that knowledge can be achieved. His argument will be of great value to all readers interested in Plato's dialogues and in methods of philosophical argument more generally.